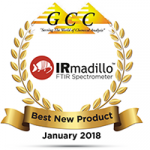 The IRmadillo™ FTIR spectrometer is a rugged instrument certified for use in hazardous and potentially explosive environments. 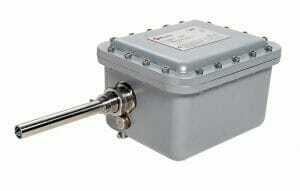 Mounted directly on, or in-line with, manufacturing vessels, the instrument excels at continuous monitoring of industrial liquids and slurries. No need to wait for your results. With an in situ sensor to monitor your reactions live, the Keit IRmadillo tells you what your reactions are doing as they happen rather than after they happen — and where ever they happen. No more waiting for your analysis results from remote sampling techniques such as with HPLC or GC. Viewing concentration profiles in real time. An example of the Keit IRmadillo FTIR showing a fermentation process with consumption of sugars into ethanol. Standard FTIR analytical instruments are highly sensitive to vibration and ambient temperature— making them a challenge to use outside or on the manufacturing floor. Keit offers an innovative solution for continuous monitoring of your processes in real-time over a variety of industrial applications – from detecting the quantity of water in glycol at a petro-chemical plant to measuring sugars and alcohol in a fermentation vat. Interested? Send us a message by completing the on-line form below.